Porsche is staking a claim for an increased share of company car sales with improved back-up and new lower CO2 models and powertrains. It’s the latest performance carmaker to outline corporate aspirations, echoing the ambitions of Maserati. Jonathan Maynard, Porsche head of corporate sales, says the trend toward downsized engines, improved aerodynamics and reduced weight to improve fuel economy and cut emissions has long been part of the company DNA. Porsche, using diesel engines sourced from elsewhere in Volkswagen Group, is also the first group brand to launch a plug-in hybrid car. It is hoping to attract eligible employees, most likely senior managers and directors. The Panamera S E-Hybrid offers total powertrain output of 416hp with CO2 emissions of 71g/km and fuel economy of 91mpg on the combined cycle. It is eligible for the plug-in car grant, reducing the transaction price from £88,967 to £83,967, and is also eligible for the 100% discount on the London Congestion Charge. Porsche continues to develop hybrid technology for its cars, which is likely to appear on future models elsewhere in the range. 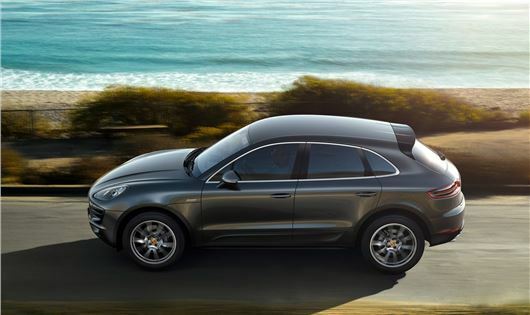 And new models such as the Macan SUV make the brand more accessible to an increasing number of company car drivers.